Today I’m talking about SnapChat. 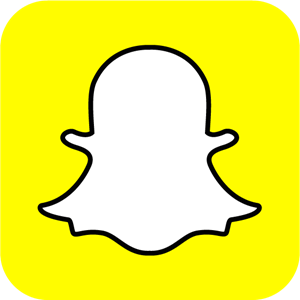 For those of you not familiar, Snapchat is a super popular app on the teen scene where a person can send photos and videos (aka, snaps) to their friends. These snaps can then be viewed for up to 10 seconds before they disappear. Kind of like magic for teens. In addition, Snapchat updates the app often with new colorful filters, geofilters, face-swapping effects, messaging, videos, live stories and more – it’s no wonder teens love it. Snapchat can actually be a fun app for people of all ages. But due to the inherent nature of the app with photos “disappearing,” it’s important to teach your kids the golden rule of social media – there is no delete button. This is something that we will have to remind them ALL.THE.TIME. From the early days of devices well into the high school years, they just cannot grasp the concept that everything they do from texts, to instagram, to snaps, to VSCO is all part of their digital tattoo for ever and ever. For them, Snapchat is an in-the-moment lens that allows them to be carefree and sometimes take risks that they wouldn’t normally take in person. This is where Snapchat gets dicey. Most parents cringe when they think of Snapchat. And for good reason – we lose all control of the information we see once our kids are on Snapchat – it’s designed to be private and intimate. The reality is, once your kids get a Snapchat account, this will be their primary communication tool by 9th grade. For now. You know social media is a constantly changing beast so the next amazing app is definitely on the horizon. But safe to say, our kids will be using this for several years to come. And we will be using it for all of our personal and business lives too – just like we did with facebook and instagram. Our kids are basically paving the path and we should absolutely follow their lead. Why? Because it’s important for us as parents to be aware and be present everywhere our kids are. Not so we can helicopter-parent them or micromanage their lives or even spy (well, that’s kinda fun on a Friday night:-)), but so we can let our kids know that “Mom & Dad are here” in some capacity. No, we won’t be able to see everything they do on this app because it’s so personal and it all disappears. Nor do we want to see everything, Lord knows we’ve all been through high school and one time is enough. But we WILL be able to see their “stories,” which is kind of like a facebook wall/facebook live and instagram too. And they will know that we are here to stay and this should serve as a reminder not to do anything too dumb. Trust me, they will need constant reminders of this. –Snapchat allows teens to take more risks than if they were communicating in person. This is true for most social media platforms, but it’s particularly true for the boy/girl communications via snaps. Boys can say some really nice things to girls online, but when they get in person, sometimes they are awkward. And vice versa. Basically they can be very bold, and sometimes luring, to get someone to do what they want at that very moment. But in person, they can just act like they never said, asked or did anything because it “disappears.” This applies to nudes (yes, these are happening at a middle and high school near you). It also applies to mean behavior, i.e. bullying. –Once your kids are on Snapchat, it’s not as easy to check in on their social media posts. We can only see stories and snaps of people we are friends with (or “added”). By high school, your child’s extended group of friends will more than likely block you. So you’ll only be able to see your kids’ and their besties’ activity, which is ok. But to get a good idea of what’s really going on, refer to the “stories” tips below. Think of Snapchat as where the day-to-day good stuff is and instagram is their branding tool. They post the “perfect” pics on instagram to create a sense of the perfect lives they want to portray. But Snapchat is a more realistic lens of what kids are really doing. –Remind your kids that nothing ever “disappears” on the internet. Not even on Snapchat. People can take screenshots. People can take a pic of the snap as it comes in. Nothing ever disappears from your digital tattoo. –Snapchat “Stories” are where everything goes down on the weekends. If you REALLY want to know what your high school teens are into, do a phone check on a Saturday or Sunday morning and log in as them and look at their stories, or even better, go through it together to keep your communication lines open. Teens think only teens are looking at their stories. So they post booze fests happening live, partial hook-ups, drugs, you name it (hopefully this only applies to the other teens in your teen’s Snapchat world, not your teen:-). It all goes down on the stories. Because that’s cool to a teenager to show off to everyone how risky and edgy they are. One can only hope their teen doesn’t attend these boondoggle parties. But at some point, I bet at least one of your kids goes to one during your parenting career. Let’s just hope they don’t share it with their Snapchat world due to YOUR amazing parenting skillzzzzzz! –This leads me to…what age would I recommend Snapchat? Delay, delay, delay. By law, kids are supposed to be 13. I would stretch that to 8th grade or older if you can. But also know that if they don’t have it by high school, they are missing out on the primary source of communication among teens. You can look at that as a good thing, but at some point your kids need to be in the same playground as their peers. We can’t keep them in a bubble, even though sometimes that feels like the safest thing to do. We need to teach them at an early age what our expectations are of them, no matter what platform they are on. Also keep in mind, we are preparing them to leave our nest when they go off to college. If we shelter them from everything, they will be miserable at college when they are on their own. –Don’t assume that Snapchat=Nudes. This is definitely one of the negative parts of the app. It’s very easy to send controversial pics without many people knowing. Many teens keep risky snaps in a folder called “My Eyes Only” – make sure you check this folder out on your kid’s phone once in a while. Hopefully you only find good snaps of themselves or their friends – like the “keepers” that they want to refer to from time to time. When my friends ask me about Snapchat, nudes come up pretty quickly in the conversation. But I often ask this question: If you had Snapchat as a teenager, do you think you would have sent one? Usually their answer is an emphatic “NO! !” And more than likely, that’s the case with your teen as well. And it’s because you have taught your teen from an early age about the good moral code that your family upholds and this always translates to good digital citizenship. Good moral code transcends everything. Also remember, if a teen sends a risky photo, that doesn’t mean he or she is a horrible person. Remember how “in-the-moment” this app is. Teens are impulsive and sometimes make terrible decisions in an instant. As parents, we cannot judge. Bad things happen to good families. If there are nudes at your school, keep in mind, the families and the school are handling it to the best of their abilities. We need not make a bad situation worse. Just use it as a teachable moment with your child. –Girls have to look “perfect” for snapping. Or at least they feel like they do. I mean, it makes sense. If you are constantly snapping a close-up selfie, you would only want to look your personal best, up close and personal. But this makes me very sad. I’m pretty sure the rise in popularity of the beauty bloggers and social media is to blame – our girls have constant pressure of needing to look perfect in their social media world. I can only hope they ditch the make-up for a trucker hat once they go off to college. –Onto the good use of Snapchat…our family does a group family thread. We start this on all platforms, first it was text (which we still do and it’s called “PlymSquad”). Then it was instagram, and now it’s Snapchat. Not all of my kids are on Snapchat yet, so it’s not a full family affair. So my older kids think this is kind of a hip way to communicate. It also let’s their friends know that yep, Mrs. Plym snaps! This serves as a reminder again, not to do anything too dumb. –Mom & Dad need to set up their own streaks and get on Snapchat. And girlfriends too. How many times has your iPhone times four people had a software update and all of a sudden your texts are crossed with your kids? So annoying especially when I’m sending some rant to my hubby about one particular teen’s shenanigans and then I realize she’s getting my texts. Yep, that’s happened to me several times. And I’m like “RANDY, PLEASSSEEEEEE GET ON THE SNAP! !” It’s magic for us too, our stuff can disappear on command. But remember, we have a digital tattoo too, wink, wink! –I’ll end on a positive note. Because of social media, our kids are marketing geniuses, and they don’t even realize it! Our teens know exactly who their audience is. They know the best time the most people in their audience are engaged. And they are learning to create catchy taglines and hashtags in middle school. Basically, they are creating their own personal brand. This is absolutely amazing – we can all learn a little something from our social media savvy teenagers! What have I missed? Comment below and I’ll drag it into the post and we can all share away! Remember, it takes a village! e-VIC’ing, The New Way to Shop! The Night Nurse Who Saved Me! Fantastic article!!! Great information and advice. Thanks for reminder that bad things happen to good people – no judging!